Window Decals - window display decoration: Advertise your products, communicate discounts, sell off or simply enter the company logo, this is certainly not a problem. 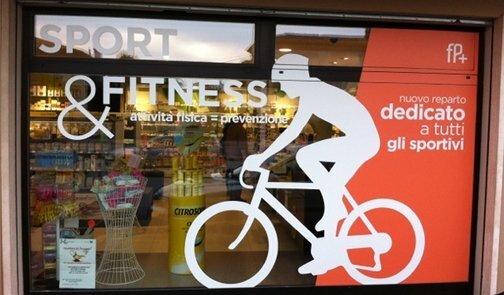 The graphic studio Treviso of Microstudio designs, manufactures and installs Window stickers and window stickers for every type of store, bar, office or commercial activity. Our decorations can be applied from inside or from outside the showcase. The decorations are made through the use of adhesive films specific for glass, colored or sanded effect even printed with the images you want. Decorating a window of your store, or business, is a great way to renew your image and attract new customers. 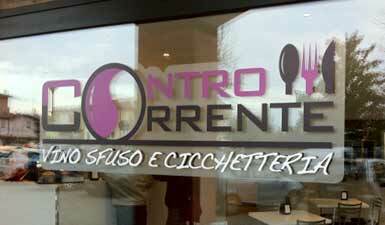 Thanks to our window stickers, we can decorate your windows in the colors you prefer. A bare window, without a logo, will not help you improve the first impression of your business that customers will do, but fortunately our adhesive window stickers help you. 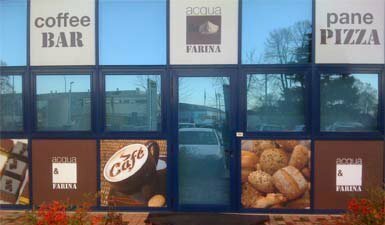 Applying an adhesive logo on a glass door of a store is a routine operation, but sometimes it is necessary to do it with a historical brand, then interpreting its insertion in the window requires a study of the forms. 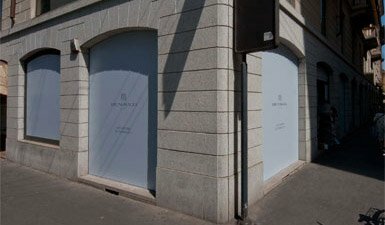 Bruno Magli, historical brand in the clothing industry, has renewed the windows of two stores. For the occasion, a modern minimalist design covering was installed for the shops in Milan, in Via Monte Napoleone and Venice, San Marco. Are you looking for visibility? The adhesive decorations printed by us are not limited. 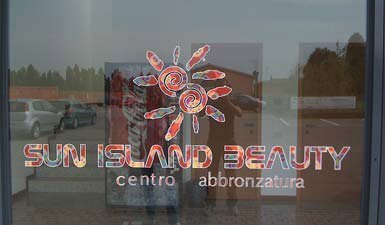 For the window of this tanning center it was decided to decorate it with a pre-spaced adhesive on digital printing. 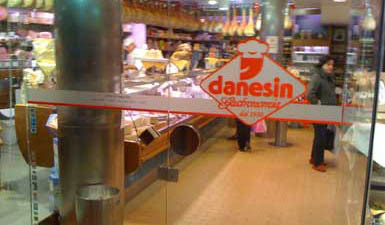 Creation and decoration of the showcases for the showcases of the bars through printed external adhesive films. For this type of installation we did not limit ourselves to the window decorations, but the solar films were applied providing a complete service. 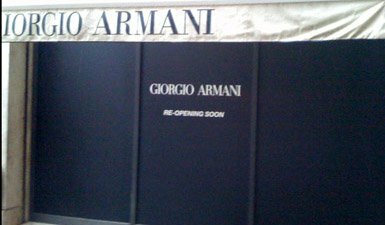 Decoration of shop windows by Giorgio Armani in Venice; this showcase has been realized with AVERY 500 adhesive film black opaque to obscure the interior. The writing, on the other hand, was made of a matt white prespainted adhesive. 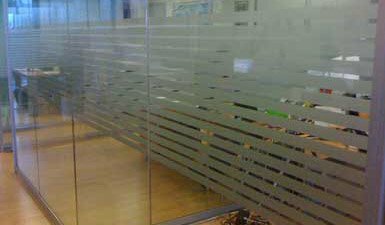 Decoration of office partition glass, by using sandblasting effect films. The effect obtained in this way is "privacy", moreover the application of the same allows to avoid accidental impact making the glass itself visible.